Kevin Briggs is the best selling author of The Guardian of the Gate. He is a retired California Highway Patrol officer who spent more than 17 years patrolling the Golden Gate Bridge. During that time he encountered hundreds of people who were troubled and had lost hope and were poised to jump off the bridge to end their lives. Although a trained negotiator, Briggs relied on his compassion, gentle voice, eye contact, and, his innate ability of “listening to understand.” During his career, he encouraged more than 200 people not to jump, and return back over the bridge’s rail to stand on solid ground. These challenging, but rewarding efforts earned him the nickname “Guardian of the Golden Gate Bridge.” Retired, Briggs is now dedicating his life to promoting mental health awareness and suicide prevention across the globe. 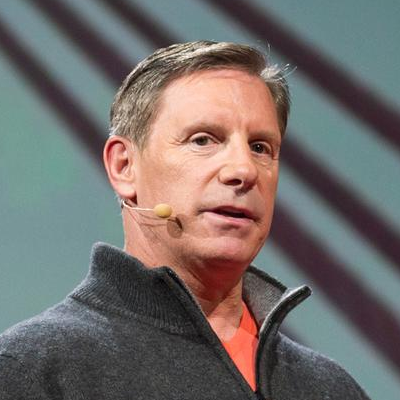 Kevin’s recent TED Talk; The Bridge Between Suicide and Life, has been viewed more than 2,000,000 views. I wanted to take a moment to thank you for your role in making the Georgetown Institutes a success. Far from disappointed, you were wonderful, and you and Kevin Hines provide such a powerful statement about hope in the face of mental health challenges. The feedback we have gotten has been incredible. You should feel very proud and gratified that your words touched so many people. It was a pleasure working with you. Kevin Briggs was super friendly, kind, and easy going. He had a powerful message which he shared to an almost full capacity crowd. We were so pleased with the turnout. Kevin was very gracious with his time and spent a lot of time talking individually with people following his talk. I would recommend him to any other college or university considering bringing him. We sought Kevin’s expertise and knowledge about supporting people in crisis, based on his outstanding work as a California Highway Patrol Sergeant assigned to the Golden Gate Division. Kevin imparted his knowledge to our Customer Service Team, and the feedback from everyone who attended was very positive. Team members felt more confident handling tough situations, and more supported in their role to help all customers. Kevin was personable, professional, and inspiring to the team, and the information he provided was of great value to us all. If you or your organization get an opportunity to hear Kevin speak about his life- saving work on the CHP, I cannot recommend it enough! Kevin is an inspiring speaker. He has a gift for creating an intimate conversation in the middle of a crowd on the most difficult of subjects. Honest and direct, Kevin touched the hearts of over 3,000 NAMIWalk participants. I do hope this message gets to you personally! I just wanted to say a huge thank you for your (Skype) presentation yesterday at the First Responders seminar here in Perth (Australia.) I had seen your TEDTalk some time ago but you were even more inspiring on your Skype call with us….You have probably heard about the number of suicides amongst FIFO workers which has prompted a Parliamentary Inquiry. We so need to reach these guys and challenge the macho culture…it’s a really tough environment. So I am really pleased to hear you will be coming out next year (2015) thanks to Mates in Construction…..It so needs ‘blokes speaking to blokes’ and your sharing of your personal journey as well as your professional is powerful. It was also a joy to hear you talking about some of the key skills as first responder needs…rapport, listening and connection. I have long held the view that the proliferation of theories and models over the last few decades firmly vest power with Psychiatrists, psychologists, etc. so they can continue to claim they are the ‘experts’. What matters so much more to the people we work with is whether we care and listen and can be trusted….that is the relationship we build! You clearly have that rare gift! Your talk was awesome! That email you added late on was incredible. Really breathtaking. And the fact is, you had everyone’s rapt attention throughout the talk. I was really struck by your willingness to take a few small tweaks to your already excellent talk. It’s rare that someone who’s as talented as you as a public speaker is willing to listen like that and be so enjoyable to work with. Many, many thanks for that… and for lighting up our event. I do truly hope and believe that ripples from this talk will lead to more lives being saved. It will be an honor to post it on TED.com. • Wow, great presentation, really respect this guy. As a therapist I’ve also talked many people down, but never in such an extreme way. I thank God I have never lost anyone. I can say everything Kevin said about listening and other interventions is absolutely true. Once a person is treated for their depression and gets plugged into the world of recovery, they can’t believe looking back they were that close to ending it all. It’s a good reminder to be mindful about the power of authentic listening and compassionate presence when interacting with your fellow beings on this Earth. Thanks Kevin! • Someone once said that suicide is a permanent solution to a temporary problem. My mother, a beautiful and ladylike alcoholic, killed herself when I was 12 after her married lover left her. If she could have made it through the first few weeks of rejection–or had help in the immediate aftermath–she might well have lived another 40 years. My life, of course, was never the same. I’ve known other kids left behind by a parent’s suicide. You never totally get over it. Thank God for people like Kevin Briggs, who not only help the suicidal people on the bridge but all of those who love them. • This is single-handedly one of the most inspirational, powerful talks I’ve witnessed. Thank you for this. This is the hope that some feel is lost–I certainly believe that this man’s job saves lives, saves families, and saves hope. • Your talk has helped more than just those who have viewed it, it is like you gently tossed a pebble into a pond and the ripples are still making their way to better shores. Thank you. I am so glad to have finally met you. I have been an admirer from afar for a number of years! I always admire and appreciate learning from anyone “in the trenches” of dealing with suicide risk. I think you embody so many of the common sense notions that I have tried to structure into CAMS: honesty, relationship, making a connection, not accepting a superior/powerful role over a person in pain. After 32 years at this, I rarely meet someone from whom I feel like I have much to learn. But hearing you was an exception to that. I do not mean that in an arrogant know-it-all kind of way, but more as a reflection on how valuable your perspective is to me and the larger field! Sgt. Briggs is one of the most inspirational and amazing persons I have ever met. • Should have a been a major speaker, not a seminar. • Make this a pillar of the CIT curriculum. I suffer from depression and PTSD, I am an officer and hearing the account of an officer and an individual in crisis provides a catalyst for seeking help. Thank you.This class saves lives – it did mine. • The presentation was very empowering. I appreciate getting to see various perspectives of how first responders help consumers. Mr. Briggs did an amazing job capturing the attention of the audience and promoting a more humanistic perspective in his presentation. He was very personable, flexible, and overall very approachable. He was a joy to be around and we are so thankful to have met him and have him be a part of our community. We look forward to hosting him again in the future. Not only was Kevin’s presentation on point and perfect for our event, but he was also a delight to spend time with! He helped us to make great strides in our community regarding law enforcement and mental health. I just cannot thank you enough for all that you did from beginning to end – from that first phone call and email you answered from me, to coming down to our facility to take the tour with Laura and me, and to coming to the event and putting together the most perfect presentation that fits so eloquently with our organization’s mission! You presented your speech in a way that was able to connect what you do with what we are trying to do with our kids and families in crisis in the area of early intervention and prevention. You told the story in a way that touched all of our hearts and made us cry. You took the time, energy, and creativity to create a magical and heartfelt story for us. You had everyone mesmerized and you could hear a pin drop in the room during your speech. Our event was centered all around the good work that you do and share with others so generously. This event will always be near and dear to me because you went that extra mile for us. Thank you so much Kevin. I feel so blessed to have had the opportunity to have met you and worked with you on this worthwhile project for the kids. As I reflect on our event, I remember the sensitivity of your presentation and how you were the highlight. I cannot express my deeply felt gratitude enough. We have received such rave reviews about the event and particularly about you and your presentation. Thank you so much Kevin. Your gift to us has led directly to more children being saved daily. Kevin provided an excellent example of how ordinary people can do extraordinary things and make a real difference in the lives of others. He was flexible and prepared to go to extreme lengths to get things to work for us as conference organisers – I suppose this attitude is what he took to work on the bridge. Kevin is a great person that truly inspires people to never give up! Everybody at the event loved him and his conference! 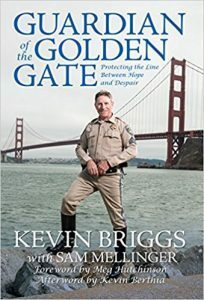 Kevin Briggs is a true American hero and a champion for mental health, first as a member of the California Highway Patrol, where he helped prevent countless suicides, and now with his passion as a mental health advocate. Kevin works diligently to help break down the stigma of mental illness, which will continue to help reduce suicide. I have had the pleasure of working with Kevin at a suicide awareness conference, and his presentation was life-changing. You will not find a more genuine and compassionate man than Kevin Briggs. After hearing you speak the Texas Association of Hostage Negotiators Conference Dallas, I wanted to let you know that I followed several you made to involve myself in the Houston Crisis group. It is amazing that we are able to offer to those in crisis, before a Law Enforcement is required. Our instructor said that she, too, had heard you speak and was inspired. Thank you. For one year our American Visionary Art Museum is celebrating a man who is pure Kryptonite to hopelessness -former California trooper and inspirational (in the extreme) speaker, Kevin Briggs. Kevin’s capacity to connect with an audience comes from his total sincerity coupled with a unique history of passionate caring for human beings in crisis. A born teacher, Briggs is a rare and unforgettable asset to a broad audience – be they parent, educator, therapist and/or emergency responder alike. He makes us all profoundly thankful that such people who have made a high art of caring, exist. Don’t miss a chance to hear his message or read his book. Our Social Action Committee wants to express its appreciation for your important part in contributing to the Forum on Depression’s impact on those who attended the Forum survey, many audience members mentioned being deeply touched, yet encouraged, by your own and your son’s depression. Thank you for your dedication in continuing to share your experiences and continuing to fight the stigma that continues to keep mental illness and those who suffer in the shadows. On April 02, 2016, your TED Talk about suicide on the GGB was played for a group of the annual meeting of the Tennessee Lawyer Assistance Program. This is a resource for Tennessee lawyers, judges and law students that are dealing with substance abuse or mental health issues. Your talk was powerful, informative and touched a lot of people. It really struck with me. Thank you so much for sharing your message with the world. Kevin Briggs was the guest speaker at our Rotary Club. Having the opportunity to meet him and hear his presentation was very moving. He was so human, thought provoking and passionate about people who have lost hope in life. I was so moved with how another person, even a stranger, can be so important to a lonely person. Kevin pointed out that a suicide victim on the bridge had such a sense of unimportance to others that they felt their death would be necessary. He was so very real in sharing his experiences, that the room full of people was completely silent! We came away from his presentation renewing ourselves in the important role we have to serve others as he brought out with our motto, “Service Above Self!” Truly a highlight of our speakers this year!!! Kevin Briggs’ unique experience addressing individuals in acute crisis and despair at the Golden Gate Bridge, and the knowledge and training he received in managing the concerns of those individuals, can assist others who are helping someone cope with their feelings of helplessness and hopelessness and save their life. Kevin’s straight talk about suicide will educate and increase awareness, and will prevent the loss of life. Kevin’s advice on how to connect and listen is invaluable!